If you follow along on Instagram and Twitter, then you know that I attended an awesome DIY conference a few weeks ago (Haven conference). While the conference did have a blogger focus with many blogging classes, I took only hands-on classes the entire weekend. 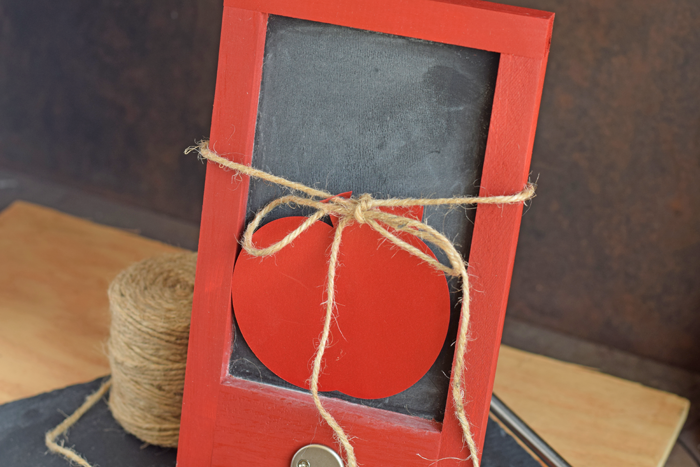 Over the next few weeks, I’ll be sharing the projects that I’ve been finishing up now that I’m home, including this cute little Chalkboard Memo Board. 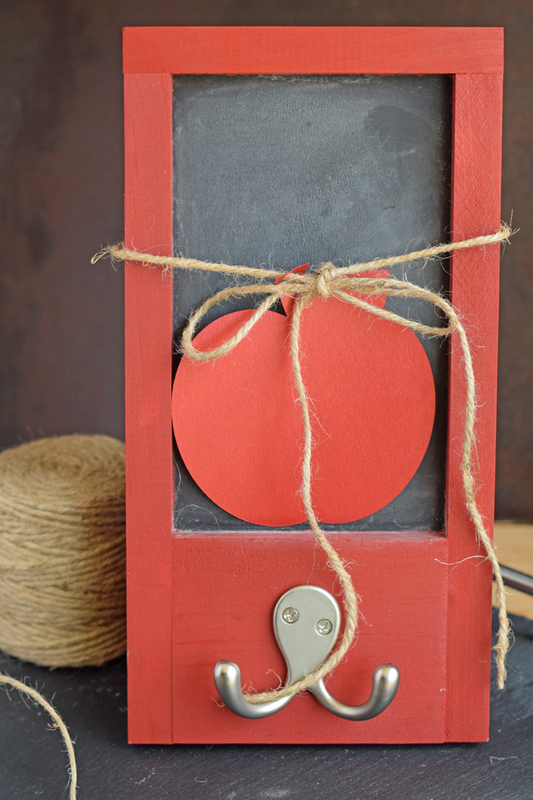 The Chalkboard Memo Board is from Crates and Pallet. 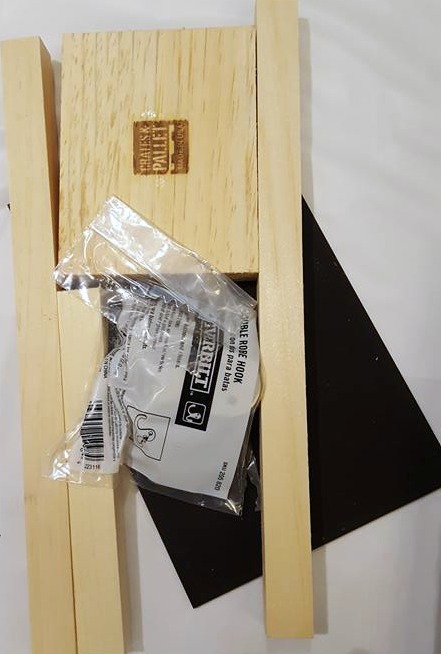 I received this in the Ryobi tools workshop class, and we used the Ryobi nail gun, sander, and drill to put it all together. Putting it together was easy. The hardest decision that I had was what color to paint it! 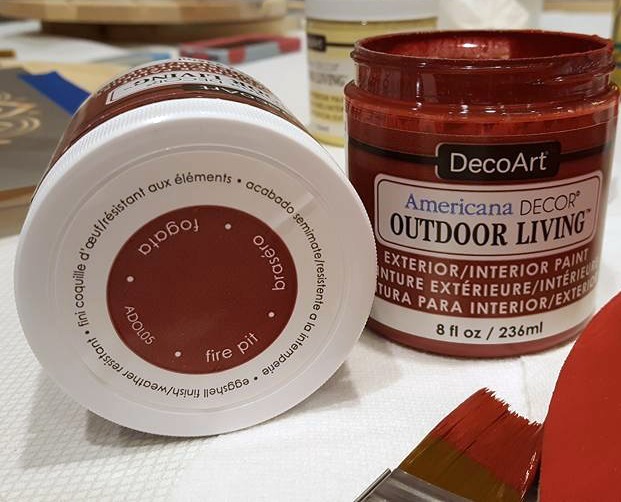 I finally decided on this (affiliate link) DecoArt Americana Outdoor Living Exterior/Interior Paint in Fire Pit red. After two coats of paint, it was finished. I’m thinking of giving it to my daughter’s teacher, so I used my Cricut Explore to create an apple gift tag. Cut the apple shape with the pearl paper and the Cricut Explore Air. Tie it to the board with twine. This was my first experience with Crates and Pallet, and I truly like their kits. 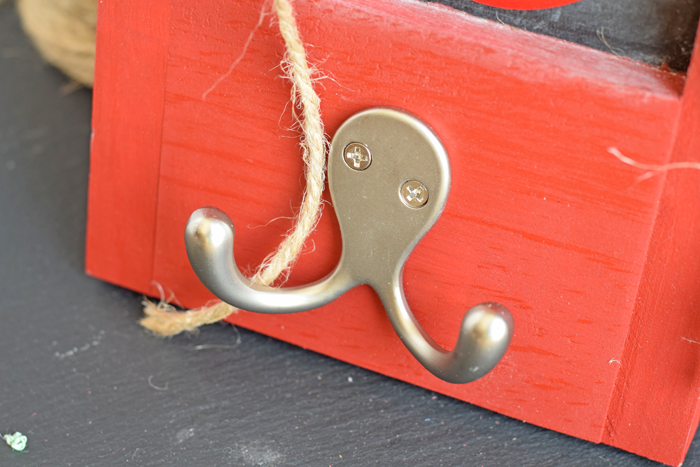 This one was simple, easy, and would make a great girl’s night craft!